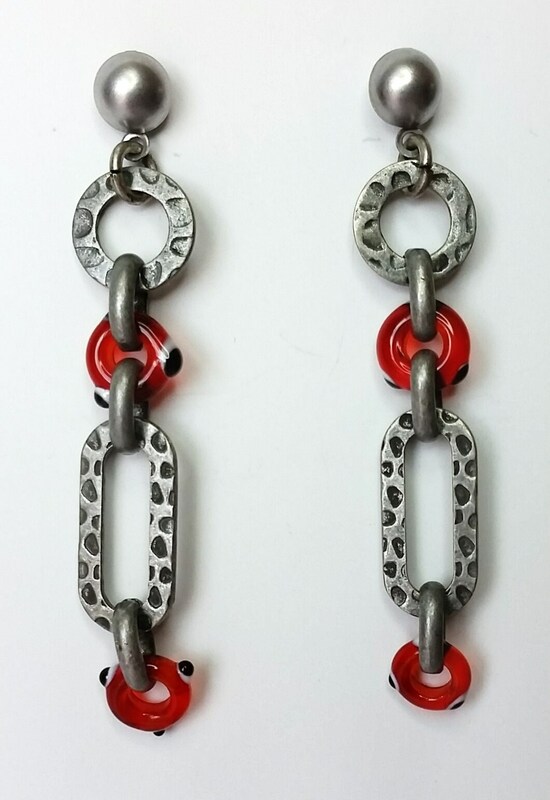 Flat hammered matte silvery metal circles and ovals have red class connector links with tiny evil eyes to ward off negativity! 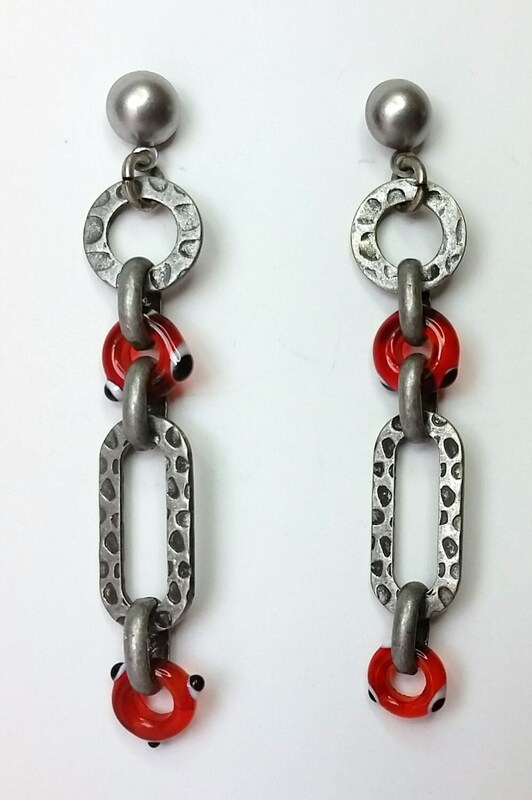 These dangle from matte stainless steel ear posts with 6 mm half round balls. I will not give out any of your personal information. If you have any questions at all please contact me by email. If you have any questions at all, please contact me via email.